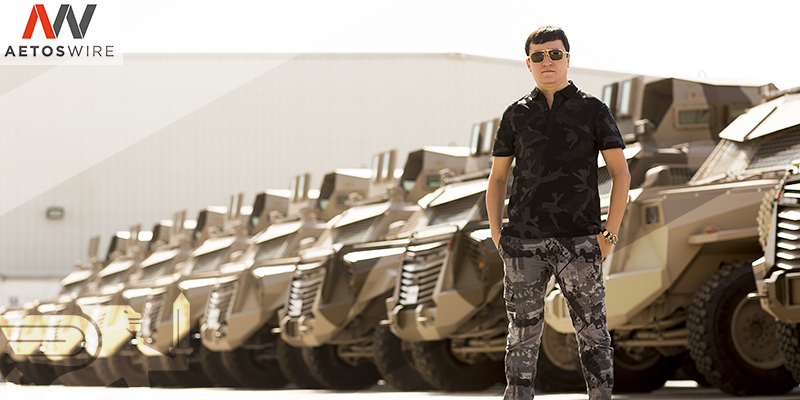 INKAS VEHICLES LLS, one of the largest local manufacturers of armored vehicles, is bringing its ambitions to Abu Dhabi within IDEX Exhibition and Conference on February 17th-21st. IDEX, as one of the leading platforms for demonstrating latest technologies within tri-sector defence industry in world, places pressure on active market players to introduce pioneer solutions for escalating security challenges on land, water and airspace. Hence, INKAS is to present there, not only some of the improved existing military models and an armoring sample of the commercial vehicle, but detailed cutaway parts as well…They truly find it essential to explain the process of manufacturing armored cars and parts, to show the results of thorough testing those vehicles undergo, thus existing and potential clients can be fully aware of what they do purchase. Moreover, the determined CEO, Ulugbekhon Maksumov declares: “We are in constant competition with ourselves, which is the best kind. INKAS machine will never stop evolving. We are starting working on a new model, that will shake the whole tactical vehicles market”. This promise is to be remembered and new model is assured to impress in the coming 2020. INKAS’ CEO is in pursuit of keeping a basic human right for safety intact by going for bigger, better and safer… Brief can be obtained when approaching INKAS team within IDEX 2019.